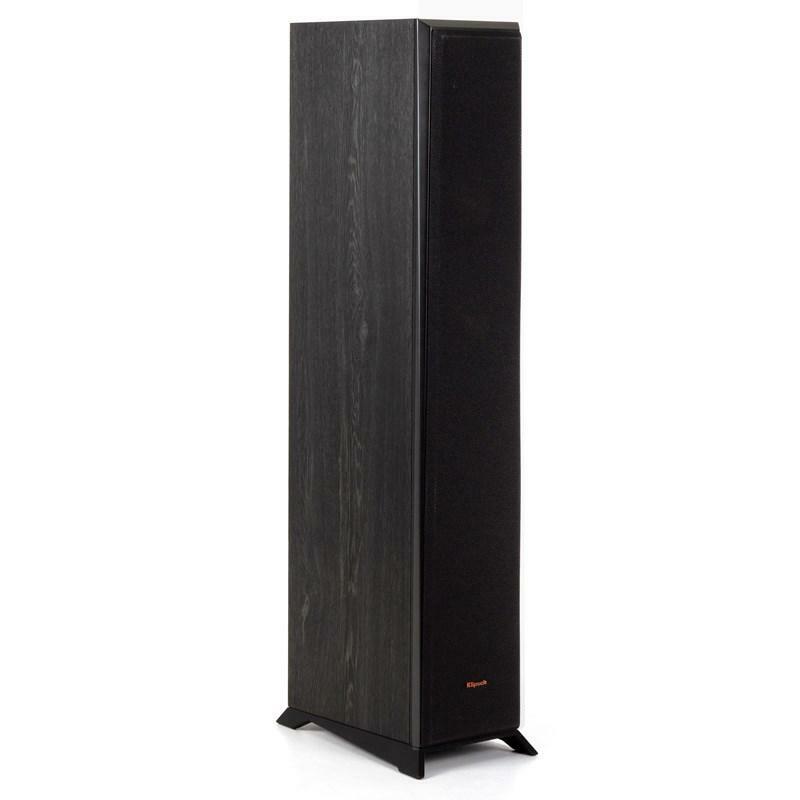 Standing only 34" tall and less than 8" wide, yet able to produce deep bass extension, the RP-4000F floorstanding speaker takes your movies and music to another level by delivering incredible sound from the signature Klipsch Tractrix® horn-loaded technology and spun copper Cerametallic™ woofers. 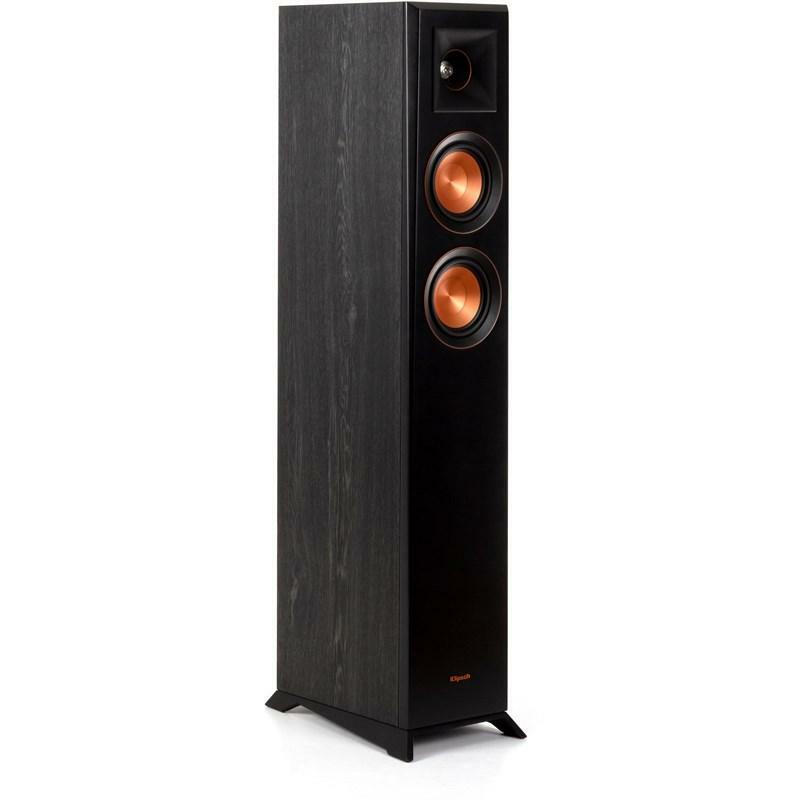 Klipsch proprietary Tractrix® horn loading technology ensures high-frequency energy of the speaker is aimed directly at the listener and reduces unwanted, artificial reverb caused by indirect sound bouncing off walls - meaning you experience the most clear, detailed, lifelike sound possible. 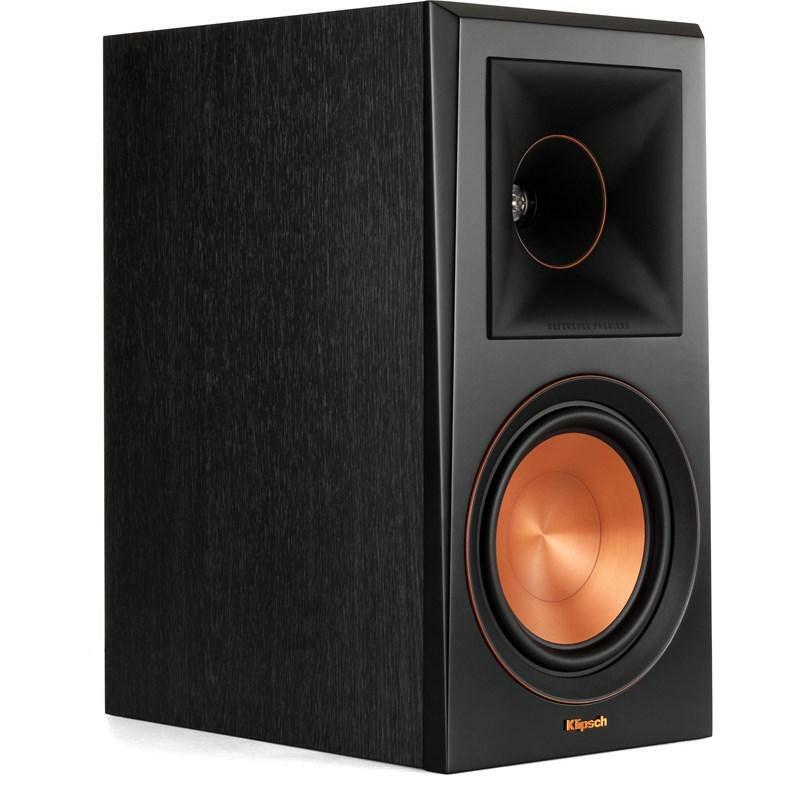 Klipsch Proprietary Cerametallic™ woofers are the speaker's signature statement for both sound and aesthetics. This extremely light, rigid materials holds its shape while being able to deliver lower frequencies with maximum efficiency. 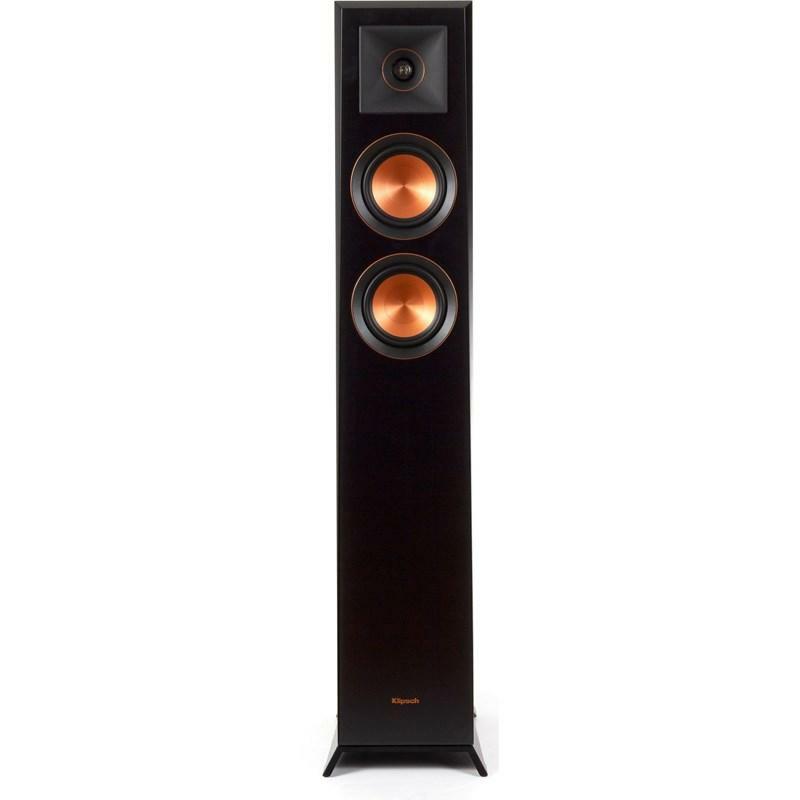 This speaker features dual input terminals so you can bi-wire or bi-amp your speakers for a custom, high-performance experience.